It’s sad to know that Bolt Thrower is definitely split up. But the world keeps on turning. Having lost their drummer, Martin „Kiddle“ Kearns, the band just didn’t want to go on anymore. 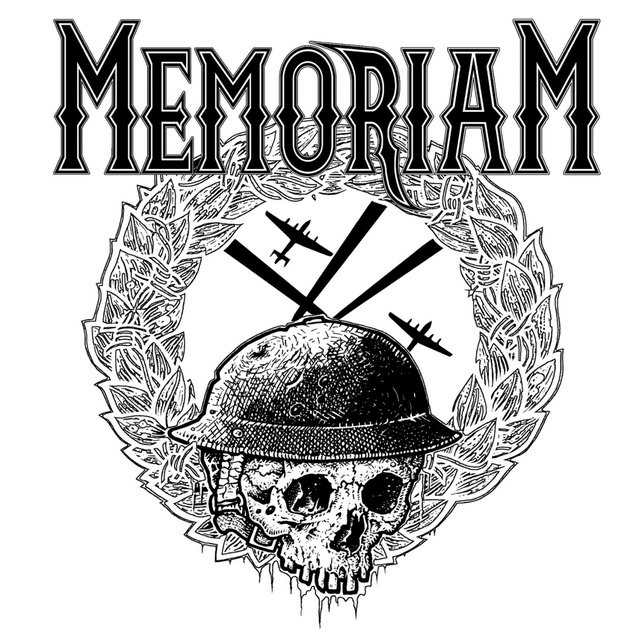 However, Karl Willetts decided to make a new project of his own, Memoriam. He teamed up with Bolt Thrower’s ex drummer, Andrew Whale, Frank Healay of Benedicton on bass and Scott Fairfax on guitar. I guess that every Bolt Thrower/Benediction fan was curious about this band from the start. 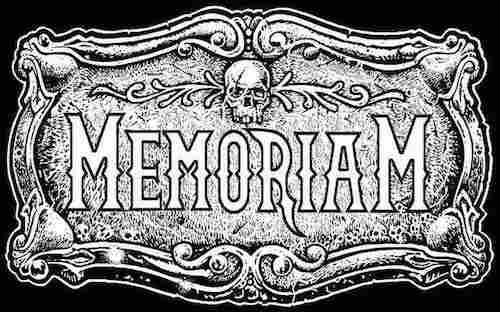 And Memoriam is a band strong enough to draw attention of any death metal fan. For the Fallen is more than just a strong debut album and that’s for sure. The album starts with a self-titled song, Memoriam. And that one is definitely one of the most melancholic sounding pieces of art on this record. It even sounds minimalistic to some extent (if you have the open string riff in mind ). The song is also a tribute to Bolt Thrower drummer, the late Martin „Kiddle“ Kearns. It's a pretty short but quite emotional tune and that's for sure. The next one, War Rages On starts with this cool quote of Neville Chemberlain's declaration of war on Germany: a state of war would exist between us. I have to tell you now that no such undertaking has been received, and that consequently this country is at war. The word War echoes louder and louder and then this cool melody starts. The riff that follows is definitely one of the most powerful ones and the song itself is probably the finest on For the Fallen. You simply cannot find any flaws in War Rages On. Because there are none. Another brilliant track on this record is Reduced to Zero. It’s melodic, and kind of minimalistic in terms of open riffs. The lyrics are about the downfall of mankind. And as always, Karl Willetts shows how fucked up the world we are living in really is, but he is kind of optimistic when speaking about the future which is pretty interesting. Song itself is pretty hypnotic and catchy. The guitar distortion will just melt your ears! Corrupted system is definitely the punkiest song on For the Fallen and yet that doesn’t take brutality away. Flatline has this chunky death metal riff. It is also one of the faster and more melodic tunes. The word catchy is what sums it up perfectly! And just for the record, bands like Bolt Thrower or Memorian are the ones that can be melodic without losing the sence of brutality which is a pretty hard thing to do ( the most melodic death metal bands fail in this miserably). Surrounded by Death sounds similar to Bolt Thrower. But the only problem with this and other songs that I find are these excessiveand very frequent Zakk Wylde pinch harmonics. Their number should be halved at least. Resistance is based on this simple open string riff bridged with Sentenced to Burn-like pattern.Finally, the album is closed by a melodic and sad sounding tune Last Words. I almost forgot that the actual album cover was done by none else than the legendary Dan Seagrave. 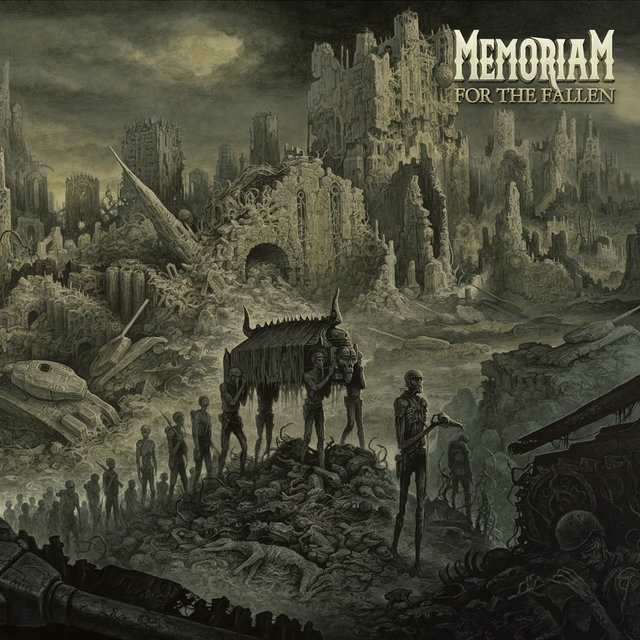 Memoriam’s For the Fallen is a pretty good debut album actually. What’s the most important, is that the band has its own entity which is not completely overshadowed by Bolt Thrower nor Benediction. Don’t expect anything but great death metal! Some may like that, some may not!